The Ombudsman Press Show: stimulating talk, live-callers, cutting edge interviews, in depth coverage of the most paramount topics in local, state and national news to keep we the taxpayers informed and in the know on the latest, hottest, and must know current events in politics, religion, headline news, and entertainment. With Host, Bishop L.J. 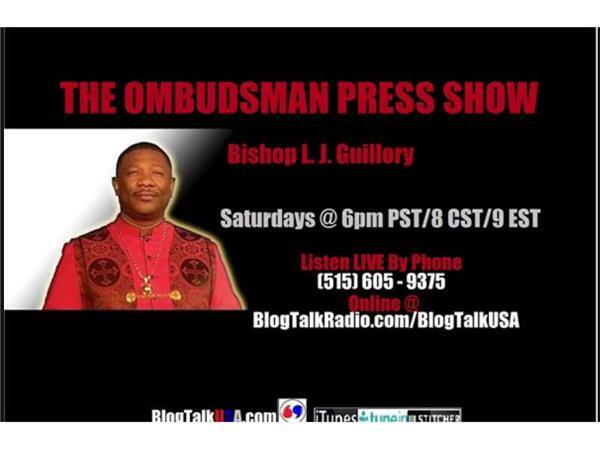 Guillory, you can depend on honest and uncensored perspective, insightful, thoughtful, wise commentary, unforgettable guest interviews every time you tune in to The Ombudsman Press Show!